Every time it seems like the recovery may be about to drop anchor in our safe harbor for at least a short visit, the dark storm of stagnancy blows it back out to sea for a good thrashing, and in some instances, tossing it on the rocky shore and stopping movement altogether. Bottom line: the winds of change are no more than a lot of hot air as Seattle’s economy continues to lag the nation’s in a recovery that is extremely anemic by historic standards. While the job market continues to heave to and fro in its balancing act between hires and layoffs, there remarkably is a lot of activity in the Seattle Market area that offers encouragement. You can read all about it in this month’s Seattle Market Review. If you look at all the restaurants opening up on both sides of the lake, one would think there is reason for unbridled optimism. The opening of the Chihuly Garden and Glass brings yet another tourist attraction to the area. Add to that a renovated Seattle Center House with a slew of new restaurants, and we have a new mecca for all the passengers arriving and departing via cruise ships and the “8th best airport” in the country, (which also happens to have a new rental-car hub)! 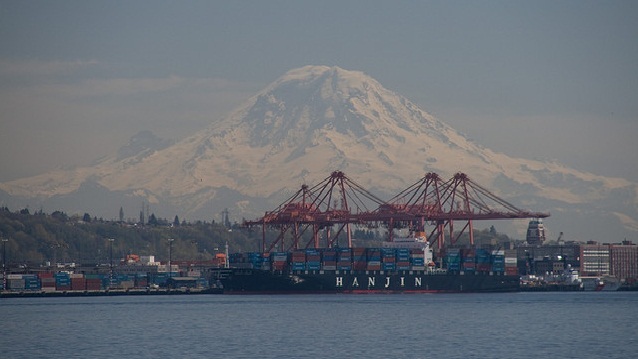 More reasonable minds also are taking note of continued state job growth in the manufacturing sector (everything from Genie Lifts to robot-prospecting spacecraft) and a Port Of Seattle ranking as the 6th largest exporter in the nation. The return of the Japanese-bound export service, the MOL line, will continue to bolster traffic and add jobs to the market. In fact, the Port plans to add 100,000 direct and indirect jobs to the region in the next 25 years. Attracting and sustaining a small-business and entrepreneurial environment also is a key driver. In an uncertain economy that hasn’t been particularly business-friendly, there is some good news: Washington recently was ranked 5th Best Business Tax System by the Small Business and Entrepreneurial Council! If that weren’t enough to get excited about, VC funding in the state is on the uptick, bucking national trends! Washington’s premium wine production ranks second only to California and accounts for 30,000 jobs in the state. 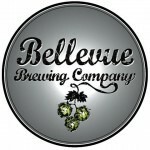 While not noted in this Review, it seems that hardly a day goes by that Washington Beer Blogger Kend all Jones isn’t reporting an opening or pending opening of a new microbrewery – even one in Bellevue! Other job creation is happening across multiple categories, unfortunately not without counter layoffs at others. The Real Estate market is looking up as condo sales and prices are picking up in the downtown area. Elsewhere in King County, the homes-for-sale inventory is on the decline, pushing prices up a smidgeon. The activity is encouraging. South Lake Union continues to add more office space, including a potential high-rise office and hotel complex from developer Hedreen. Vulcan, the SLU’s dominant developer thus far, is expanding its apartment-building proclivity to the University District. It will be joined by a Sustainable Living Innovations (SLI) 47 + 7 project, a component-based student-living environment that promises a new business model for green building. Before those of us in media can even hint at a recovery in the making, we need to see some confidence in the future from the retail sector, which continues to limp along in this market. Consumer confidence and spending remains low while consumer prices, powered largely by sharply higher gasoline prices, continue to accelerate even while levels have tapered off nationally. So the investment by Target in a downtown location definitely is getting our attention, as is Nordstrom’s move of its fast-growing Rack store to Westlake Mall. Nordstrom also announced recently that it would be adding yet another Rack location in Northgate Mall in the space previously occupied by Toys R Us. And last but not least, is Walmart’s opening of a Bellevue store in late June. Is this a sign of the luxury legacy leaving the wealthy suburb/city or an economy-induced austerity realization taking root? Interestingly, and maybe more telling, is that Walmart also looks to be one of the major players in the upcoming liquor wars, now that the state is out of the business. There’s even more to catch up on in the May edition of Seattle Market Review. Download the free report and stay in-the-know as the Seattle marketplace positions itself for the future.